Variety in terms of freedom of movement and exercise options is one of the great benefits of resistance band and cable training and the flexibility of the max flex handle only boosts those advantages. 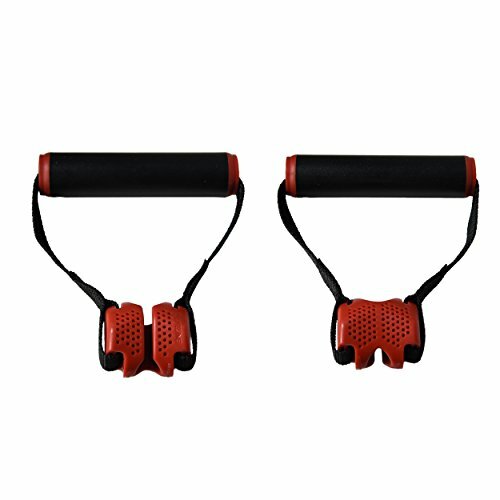 The single pocket design allows you to change resistance cables to customize specific exercises to fitness levels and targeted muscles making these perfect for beginners, those rehabbing injuries or anyone looking to for quick-and-easy way to do strength training at home or on the road. Includes one Instructional workout chart. If you have any questions about this product by Baseline, contact us by completing and submitting the form below. If you are looking for a specif part number, please include it with your message. Body-Solid OBPB10 10Lb black Bumper Plates 17.7"